Academy of Friends aims to be an exemplary model of volunteerism and fundraising having a significant impact in the lives of those affected by HIV/AIDS, until the epidemic has passed. The African Human Rights Coalition works with LGBTI communities and individuals in African countries seeking to claim and defend their human rights. AGUILAS is dedicated to creating a supportive, culturally sensitive environment for gay/bisexual Latinos. AIDS Emergency Fund provides immediate, short-term financial assistance to help people disabled by HIV/AIDS. ALRP is solely dedicated to providing free and low-cost legal assistance and education on virtually any civil matter to persons living with HIV/AIDS. The LifeCycle events raise awareness about the ongoing HIV/AIDS epidemic and funds services such as HIV testing, prevention, care, and much more. The Quilt is a powerful visual reminder of the AIDS pandemic. More than 48,000 memorial panels have been sewn together by friends, lovers and family members. The National AIDS Memorial Grove is a dedicated space where millions of Americans touched by AIDS can gather to heal, hope, and remember. The API Equality – Northern California aims to reduce and eliminate prejudice and oppression based on gender and/or sexual orientation in the diverse ethnic communities of the API populace. API Wellness is supporting the impact of the AIDS epidemic on the Asian and Pacific Islander community. Archive Production endeavors to record as many original artistic performances so that future generations will be able to see these historical events. BAADS strive to make all aspects of sailing accessible to people with mental, physical, and developmental disabilities. BAAITS offers culturally relevant activities for Gay, Lesbian, Bisexual, Transgender and Intersex Native Americans, their families and friends. Bay Area Derby is a skater-owned-and operated organization that gives back to the community. Bay Area Queer ZineFest strive to positively maintain, support, and contribute to the queer+creative communities it proactively represents. Bayard Rustin LGBT Coalition (BRC) is purposed to end in all manifestations: racism, sexism, homophobia, and transphobia. Brava! for Women in the Arts is a professional arts organization dedicated to cultivating the artistic expression of women, LGBTQIA, people of color, youth, and other underrepresented voices. The Bridgemen are guys who have lots of different hobbies and interests and who are trying to make San Francisco a safe and happy place for everyone. From Wellness to Behavior Health, Curry Senior Center’s programs help make sure they take care of the whole person. Dialog to Learn’s goal is to help as many students as possible with their reading and writing skills. Empower Prep builds resources to connect allies with transgender people and helps companies shift workplace culture. Equality California is the nation’s largest statewide lesbian, gay, bisexual and transgender civil rights organization dedicated to creating a fair and just society. Flying Over Walls is a Queer/Trans Prisoner Solidarity Project in the SF Bay Area. Frameline's programs connect filmmakers and audiences in the Bay Area and around the world. Fresh Meat Productions creates and commissions new work, present performing arts programs, conduct education and engagement, and advocate for justice and equity in the Arts. GAPA’s purpose is to further the interests of the LGBTQ+ API community in the San Francisco Bay Area and beyond. The Berkeley Free Clinic offers free limited medical care from lay healthcare workers and medical professionals. GaymerX is a nonprofit dedicated to celebrating and supporting LGBTQ+ people and culture in the world of gaming, with a focus on video games. Gender Spectrum provides an array of services to help families and organizations understand and address concepts of Gender identity and expression. There are three typical functions of a GSA club: Support, Social, and Activist. The GLBT Historical Society collects, preserves, exhibits and makes accessible to the public materials and knowledge to support and promote understanding of LGBTQ history, culture and arts in all their diversity. The Council of Grand Dukes and Grand Duchesses of San Francisco was originally founded to provide diverse areas of the San Francisco community with charitable and personal support. The HIPHOP Project is an innovative and groundbreaking program which delivers fresh, hot meals prepared to feed on a massive scale. Homobiles is committed to providing secure and reliable transit to the SF Bay Area LGBTIQQ community and its allies. Horizons Foundation has fueled the LGBTQ movement in the Bay Area and beyond by supporting nonprofits that help thousands of people every day. Huckleberry Youth Programs seeks to empower young people to develop and maintains healthy relationships as well as promote their talents, ideas and leadership. JFCS East Bay promotes the well-being of individuals and families by providing essential mental health and social services through every stage of life. Lambda Legal is a national legal organization whose mission is to achieve full recognition of the civil rights of LGBTQ+ and everyone living with HIV. Since 1984, Larkin Street Youth Services has given more than 75,000 young people a safe place to rebuild their lives. The Lavender Seniors mission is to improve the quality of life of older lesbian, gay, bisexual, transgender, and queer (LGBTQ) residents of the East Bay. LGBT National Help Center runs weekly moderated chat rooms for LGBT youth and teens to find support, acceptance and community. LGBTQ-RAN's overarching purpose is to ensure the preservation and accessibility of the voices and experiences of a great diversity of LGBT religious leaders and groups. LIFE ElderCare’s mission is to empower the aging to live with independence AND interdependence by nourishing mind, body and spirit. Loud and Queer is a social activist group active in the San Francisco Bay area, dedicated to ending shame in all its forms. Maitri is the only AIDS-specific residential care facility in California focusing on those dying of or severely debilitated by AIDS. Maven Youth fosters innovative solutions that empower LGBTQ+ youth to network, organize and educate for social change. Most Holy Redeemer provides direct care and assistance to persons with HIV disease and those who love and care for them. Since 1977, NCLR has been at the forefront of advancing the civil and human rights of the LGBTQ community and their families. CREGS conducts innovative research and provides educational programs teaching contemporary and foundational issues in gender and sexuality studies. Whether in the classroom, behind the scenes or on stage, NCTC strives to be the very best it can be by expanding the conversation, challenging expectations, and making quality theatre. NIA Collective helps to empower lesbians of African descent. Oakland First Fridays is an immersive art and community experience on the first Friday of each month fin the Oakland's KONO district. The Oakland Gay Men’s chorus serves many communities, with members coming from all around the Bay Area. Oakland LGBTQ Community Center’s goal is to become Oakland’s premier network of programs and services for the LGBTQ community. Oaklash is the first ever festival of Bay Area drag and queer performance. 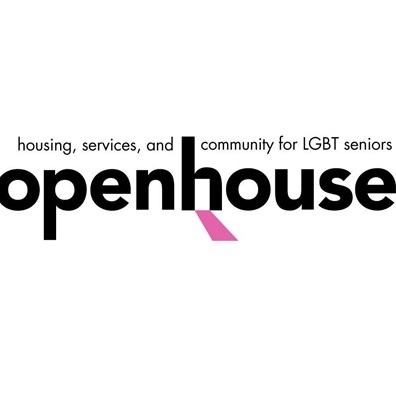 Openhouse reduces isolation and empower LGBT seniors to improve their overall health, well-being and economic security. OpportunityPoint believes that with opportunities and support, queer and minority youth can become whoever they want and live safe and satisfying lives. 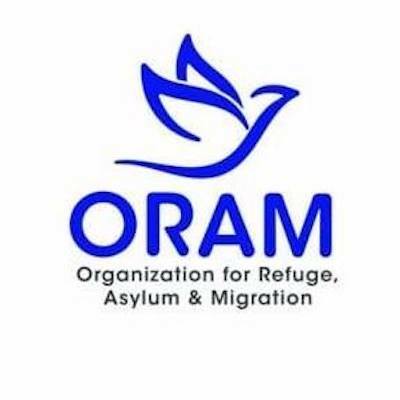 ORAM mission is to protect the world’s most vulnerable refugees. Our Family Coalition seeks to create an inclusive and just world where all LGBTQ families with children have visibility and opportunities to thrive as valued participants in our schools, institutions, and communities. OUT There Adventures aims to empower queer young people through their connection with the natural world. Outlet envisions a world that embraces, empowers, and celebrates LGBTQQ+ youth.